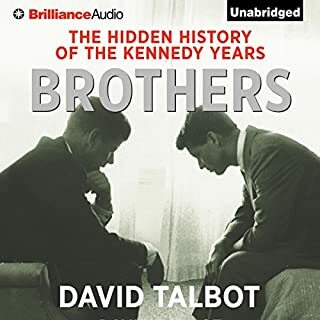 This is an interesting book and well worth a listen for those interested in the Kennedys or the period. I do feel it was let down a little by the narrator who, though OK, was a little unmodulated for me and did not give enough variation in his reading. I also found his reproduction of the accents of JFK and RFK to verge into the imitative and irritating. My main take from the book (probably unintentionally on the author's part) was that JFK was quite a vacillator and this might explain why he did not achieve all that much (legislatively) during his presidency. 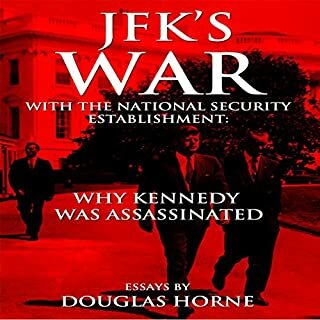 I would buy another of this author's books and I see Audible have a copy of one concerning Allen Dulles and the CIA. Upon assuming the presidency in 1953, Dwight Eisenhower came to be seen by many as a doddering lightweight. Yet behind the bland smile and apparent simplemindedness was a brilliant, intellectual tactician. 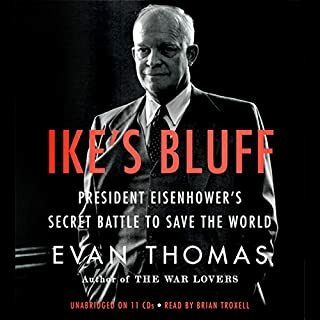 As Evan Thomas reveals in his provocative examination of Ike's White House years, Eisenhower was a master of calculated duplicity. As with his bridge and poker games he was eventually forced to stop playing, Ike could be patient and ruthless in the con, and generous and expedient in his partnerships. This is an interesting and informative history, a little on the gossipy side, but no worse for that. It's the aural equivalent of a "page-turner" I found and held my interest throughout. The narrator is good and carries the book forward very well. Recommended for those interested in the topic. I received this title on a 2 for 1 offer and I am so glad I chose it. 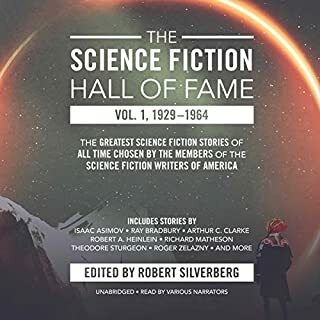 These are a series of excellent science fiction stories, which encompass many different nuances of the genre: space adventure, the technological, the philosophical, and so on. Not only are the stories wonderful classics and frequently thought-provoking, they are also uniformly very well read. 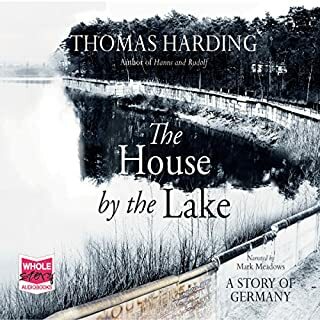 In an anthology of nearly twenty nine hours a single narrator's voice might have become wearisome, but here there is a different narrator for each story and so something fresh is brought to each one. The readings are excellent. I think if you have a passing interest in science fiction, you won't be disappointed in this release. 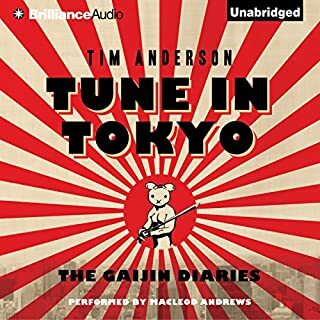 One of my favourite Audible purchases! A fantastic book and very well read. The use of the house to tell its residents ' and Germany' s history is inspired. 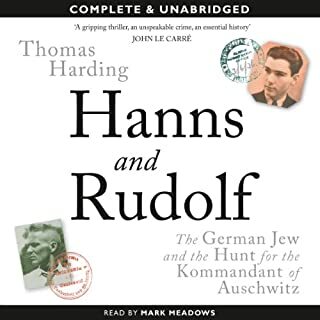 The book reminds me a little of Len Deighton's "Winter" as a chronicle of German history through the experiences of families. It's funny and well read. Also, the narrator seems to pronounce the Japanese words well - not that I would really know, but they sounded good! Some listeners may not like the sweary or gay content, but that didn't spoil my enjoyment. 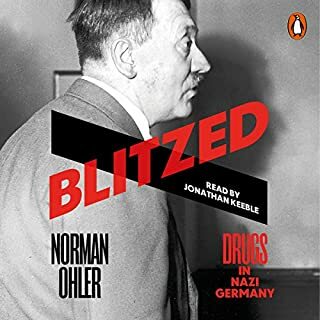 A very interesting account of drug use in the Third Reich. It seems as if Hitler certainly and most of the German armed forces and population were drugged up to their eyeballs during WWII. This may provide at least part of the explanation as to why so many atrocities were committed during that time. The narration here is good save for one thing (common to a lot of audiobooks, sadly). The German pronunciation is woeful. Practically all the narrator's attempts made my ears grate. I never quite understand these problems as it would not seem too difficult to learn the correct pronunciations for the limited number of German words in the text. As I say, this seems to be a common problem. Aside from that a very worthwhile book. I bought this on a two-for-one offer from Audible knowing nothing about the book. What an excellent serendipitous choice! 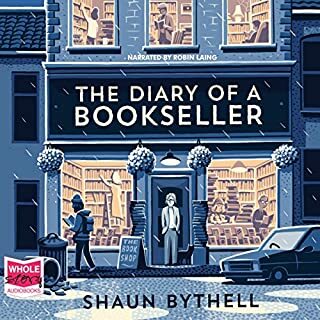 It is laugh-out-loud funny and also charming in it's description of a small business. So different from the buzzword and BS-filled world of the corporate monsters many of us are forced to inhabit. Heartwarming and very well written. I am a fan of Horne's work and always feel he presents historical facts and then, distinctly, his speculation on those facts. This allows the reader to make their own judgements on whether they agree or disagree with his conclusions. I have to say I mostly agree with his analyses. Additionally, Horne should be heartily commended for always crediting his sources for facts or theories (other authors, etc), as he does here. More writers should do this and marks him as a professional in his field. Generally, this work is very good and I learned some new things, e.g. the government controversy over Laos. Also, generally, the narration here is very good and the reader does a good job in pitching it in an interesting way. # Repetition. The opening of the second section (1962) consists of a fifteen minute recapitulation of what we learned previously in the section about 1961. Being as that section already had a summary as its conclusion and each part was extensively summarised and reiterated throughout the 1961 section this was somewhat boring and annoying. # Walter "Allbright". The leader of East Germany at the time was Walter Ulbricht not Walter "Allbright" as on the recording. I do not think this could be a textual error, and so choose to believe it is an error in narration. Odd, and annoying. # "Jac-qua-line" Kennedy. The narrator pronounces Jacqueline Kennedy's first name as "Ja-qua-line". This unique pronunciation is so strange as to be grating. # Pope "John Paul" XXIII. The Pope was merely Pope John XXIII hence his later successors John Paul I and John Paul II. Again, I'm not sure whether this is a textual, or narration error. # Russian lead in space technology. Horne states that in mid-1963 the Soviet Union was "kidding itself that it still had a lead in this sphere of technology". Based on their achievements I think the Russians are generally credited with having had a lead at that time and until nearer to the end of the 60s. It seems a little churlish to deny them that. So, for these reasons I subtract one star from my rating. Overall though, a good and interesting listen. 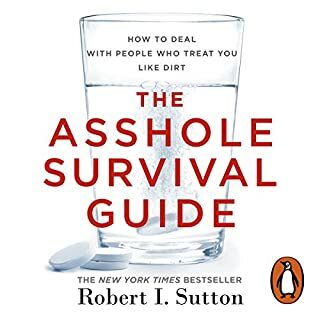 A valuable and enlightening book. I found the affirmation that it is OK to just leave a toxic situation very wise. I would previously have viewed such action as running away, but the author convinced me it is not.